The acquisition cost of F-35s for the international partners is bound to be affected by the slowdown in U.S. production, Dave Scott, Lockheed Martin’s director for international F-35 customer engagement, told AIN. “But we’ll still be doing about 30 in each of the next few years for the U.S., and when you add orders that have already been confirmed by the partners plus Israel and Japan, it’s not a bad annual rate,” he continued. Scott noted that six of the eight partners now have committed to or ordered aircraft. “They’re all in it together, and have been for 10 years now,” he said, referring to the system design and development phase in which all of them made contributions. These ranged from $2 billion from the UK, a Level 1 partner, to $1 billion from Italy and $800 million from the Dutch as Level 2 partners to $125 million to $175 million from the remainder, as Level 3 partners. The British (three) and the Dutch (two) have already ordered aircraft, Scott noted. Australia (two) and Italy (four) are placing their first orders in Low Rate Initial Production (LRIP) Lot 6, and have already funded long-lead production items. Turkey is following in LRIP 7, and Norway (four) in LRIP 8. Canada and Denmark are the two partners who have yet to commit. The first deliveries to Israel and Japan will be from LRIP 8. According to Scott, “some countries” are considering an increase in their F-35 orders, though he would not specify who they are. But the UK is certain to reduce its requirement for 132, and two days after AIN spoke with Scott, Italy announced that it is chopping 40 aircraft from its previously planned buy of 131. The Australian defense minister recently stated that his country’s plans to order its next 14 F-35s are on hold. The F-35 JSF is a lemon and is totally incapable of facing high end threats that would not cement any nation's regional air power lead. This has shown that the JSF has a lot of limitations and it cannot do a lot of things as aspected to show and promise that is a true fifth generation fighter. Because it does not meet all the requirements of partner nations, the aircraft will be too weak, inferior, vulnerable and won't be able to survive against the Russian/Chinese Sukhoi family and upcoming J-20 Mighty Dragon fighters. It is too heavy, overweight and sluggish to be successful as an air superiority fighter, due to the fuselage which has too much cross section, the wings are too small which lack the extreme manoeuvrability (the ability to out-manoeuvre the adversary in air-to-air combat), the wing platform is optimised for subsonic cruise and transonic manoeuvre and doesn't provide enough lift and drag to defeat Beyond Visual Range (BVR) and Within Visual Range (WVR) air-to-air missiles (AAMs) from enemy fighters in the dogfight and stand off ranges, advanced surface-to-air missiles (SAMs) and ground fire. The aircraft has inferior acceleration, poor manoeuvrability, short range with no loiter time and very limited weapons payload that is unsuited for bomber and cruise missile defence and unsuited for air superiority role when compared against Sukhoi family of aircraft, particularly post 2010 configurations; definitely post 2015 evolved growth variants. The JSF is not lethal. This means that for the outrageous amounts of money spent on air-to-air and air-to-ground fighting capabilities, the JSF brings absolutely nothing to the table that existing aircraft designs such as the F-111, F-15, F-22, A-10 and other aircraft – cannot already do and do better. The F-35 JSF is not survivable. The kind of stealth quality the aircraft has is much less than the F-22 Raptor. The JSF will need the F-22 to survive serious high-end threats and the F-35 is not designed as a top level fighter. When stealth goes naked, due to turns that the maker of the aircraft has already stated, “can increase an aircraft's radar cross section by a factor of 100 or more”, the F-35 has no extreme high altitude and speed of the survivable F-22. The JSF is optimised for ‘Forward’ and ‘Side’ aspect best performance limited to X band, only. Target KPP downgraded to Low Observable (LO) from Very Low Observable (VLO) – an order of magnitude change. Conversely, while the JSF’s APG-81 radar provides respectable air-to-air radar coverage capability, it is being optimised as a bomber radar to meet the Joint Operational Requirements Document (JORD) and CAIV. The aircraft is undergoing a substantial flight test and evaluation program, which is not progressing well and not meeting test objectives. Its been stated that what will be delivered (if F-35 ever arrives) will be obsolete; and that the F-35 is not affordable or sustainable. With cost increases, schedule delays, and continuing technical problems also increases the risk that the program will not be able to deliver the aircraft quantities and capabilities in the time required by the warfighter. The F-35 has failed the initial test of its stealth capability and remains behind schedule to provide the performance requirements. The cost of supporting the JSF will not be progressively refined between now and its introduction into its service. The F-35 will be extremely costly to operate than the F-111, F/A-18 or other aircraft. Detailed modelling, analysis and participation in highly fidelity simulator exercise which have shown and demonstrated that the JSF has been defeated all realistic current and future threats that some nations are likely to face by the Sukhoi family aircraft and J-20 Mighty Dragon. Part of the presentation showed a computer simulation which calculated that the F-35 would be consistently defeated by the Russian-made Su-35 fighter aircraft. The defeat calculated by the scenario also showed the loss of the F-35's supporting airborne-early warning and air-to-air refuelling aircraft. The F-35 lacks the aerodynamic performance to be employed effectively as an air defence interceptor/fighter, while its stealth performance in provably insufficient for defensive/offensive counter-air and ASuW strike operations against contemporary regional capabilities. The technology in the Su-35S Super Flanker-E will also see its way into growth upgrades of other Su-27/30-fighter variants used by countries like Indonesia, Malaysia, India and Vietnam. Chinese variants of these aircraft should also see similar growth capability in the coming years. No matter what upgrade to this very remarkable warplane, the advanced Flankers are extremely capable, very powerful beast, tough, and hard to shoot down that no F-35s or even small fighters with shorter range can compete with this adversary that faces biggest threat to ANY air force to go up against in combat. The Russian-made T-50 PAK-FA low-observable fighter now in development is expected to be much more lethal in air-to-air combat against the F-35. The Su-35 and T-50 made appearances last year at the Russian aerospace industry air show known as MAKS 2011. Both aircraft will include sensors and networking which can minimise the effects of the limited low-observable qualities of the F-35. They will also have higher performance, longer range (without refuelling), more powerful radars, advanced sensors, networking, data fusion capabilities and carry more air-to-air and air-to-ground weapons than an F-35. The F-35 JSF's fuselage is too thinned skinned. Lockheed Martin has done very little with major safety precautions on the Joint Strike Fighter to protect against fire. As an close air support which the F-35 is suppose to be (when it attempts to discriminate tanks, convoys, SAMs and AAAs) its totally incapable, the aircraft will be an very easy target to shoot down, because it's such a delicate aeroplane which means the aircraft has a huge F135-PW-100 turbofan engine surrounded by fuel wrapped around entirely in the engine and to the fuselage. Very little they can do because the .22 Rifle or any form of gunfire can very easily penetrate the skin on the airframe and causes it to catch on fire like a “blow torch”. With safety precautions being dropped claimed that is not needed due to save weight, I find that big disaster, certainly a very vulnerable aircraft. The JSF will expose more heat (in full afterburner) this will make the adversaries to detect the F-35 at BVR (Beyond Visual Range) range, using heat seeking air-to-air missiles. Single engine is unsuited for overwater operations, this makes the aircraft more vulnerable to engine failure which will cause heavy losses to the entire fleet. The Pratt & Whitney F135-PW-100 turbofan engine will cause damage to flight deck and runways with heat build-up and exhaust impedes the aircraft’s ability to conduct missions in hot environments. The F-35 engine and integrated power package exhaust may cause excessive damage to the flight deck environment and runway surfaces that may result in operating limits or drive costly upgrades and repairs of JSF basing options. In fact single engine should be ruled out of the F-X (Fighter Experimental) program to replace the ageing fighters and you can't afford any more losses. It's not designed for overwater operations, they are designed for land based operations which are only suitable for smaller NATO countries e.g. Belgium, Netherlands, Denmark, Norway, Finland etc, Middle East, South American and small Asian country nations to operate single engine planes. The reason why single engine aircraft are suitable for those nations is because of the vast size of their country is surrounded by land areas, small economy which means their range is not as important. To send the pilots into a fight with an inferior platform deliberately purchased when a demonstrably better alternative may have been available is questionable decision making at best. What nonsense from this guy. Principal JSF stakeholders, including LM, the U.S. military and the U.S. government, are confident that the JSF will achieve all its design goals. And in time, F-35 will prove herself to be the world's deadliest combat aircraft. This clown should ask himself why so many nations have ordered or remain committed to the F-35. It seems unlikely that Japan recently ordered the F-35 (following a stiff competition) because it was judged to be "inferior"
Why does the Pentagon say the JSF is a true 5th Generation Fighter. Really? Cost of the program. $385 billion for development and production, and about $ 1 trillion or more to maintain and operate F-35 aircraft over decades. Range. The short range of the JSF means they would have to be refuelled several times to fly across Australia, America or anywhere. Single-Engine. This makes the aircraft more vulnerable to engine failure which is totally ill-suited for overwater operations. Remember this makes the aircraft more vulnerable to engine failure that will cause heavy losses to the entire fleet and putting pilots lives in jeopardy. The Pratt & Whitney F135-PW-100 turbofan engine will cause damage to flight deck and runways with heat build-up and exhaust impedes the aircraft’s ability to conduct missions in hot environments. The F-35 engine and integrated power package exhaust may cause excessive damage to the flight deck environment and runway surfaces that may result in operating limits or drive costly upgrades and repairs of JSF basing options. Thinned Skinned fuselage: Again, Lockheed Martin has done very little with major safety pre-cautions on the Joint Strike Fighter to protect against fire. As an close air support which the F-35 is suppose to be (when it attempts to discriminate tanks, convoys, surface-to-air missiles and anti aircraft artillery) its totally incapable, the aircraft will be an very easy target to shoot down, because it's a very delicate aeroplane which means the aircraft has a huge F135-PW-100 turbofan engine surrounded by fuel wrapped around entirely in the fuselage and engine. Very little they can do because the .22 Rifle or any form of gunfire can very easily penetrate the skin on the airframe and causes it to catch on fire like a “blow torch”. Its a very vulnerable aircraft. Speed. The top speed of the JSF is only Mach 1.6 placing it at a significant disadvantage to Mach 2.4 aircraft such as the super cruising Sukhoi. Wing and engine intake geometry is optimised for sub-sonic flight - so a more powerful engine cannot fix the problem even if one would fit in the small JSF airframe. Large Internal Fuel Load (lbs): Yes >18 lbs (0) which is very inefficient. "Partial Stealth". It is argued that these disadvantages are offset by the JSF being "partially stealthy" in that it has low frontal visibility to millimetre-band radar. However, this is of little value against VHF radar using meter-long wavelengths. Russian engineers are now producing advanced VHF radar systems for the Sukhoi and for ground-based system such as Nebo SVU. As explained by my friends and colleagues in the defence, this exposes most fighter-sized 'stealth' aircraft. While the radar technology will only improve, the stealth characteristics of the JSF are locked-in with its flawed geometry. Unavailability. The JSF is not expected to be fully operational around 2018 or later. Weight. The JSF seems to have a serious weight problem and may be unable to take off with a full load of fuel and weapons making it even more dependent on air-tanker support. Only "Four" BVR Air-to-Air Missiles. The JSF can only carry four air-air missiles (AAM) for Beyond Visual Range (BVR) combat. By contrast late model Sukhoi Flankers can carry a wide range of AAM on twelve hard-points. Classified Components. The JSF is likely to have a range of components that are 'off-limits' to the Australia and can only be serviced in the US. This is certaintly the biggest failed project of all time I've ever seen and must be scrapped. Everyone's been told stealth is need, interoperability is needed, and integrated avionics is needed. The reality of the world is that Russia and China recognize the need for an air superiority airframe even better than we do! This is evidenced by the mass buys of SUkhois and the integration of all ther weapons your typical strike fighter carries, plus all the stuff we say is NEEDED. My point?.. If you're gunna market an air superiority aircraft as the F-35 is being martketed, you need all the things that come from a larger aircraft that's properly fitted for air superiority; so in the end, you can have the speed, maneuverability and firepower air-to-air, AND the same for ground attack. Advanced Boeing F-15E+ Strike Eagle or Silent Eagle instead of the lemon JSF. The best aircraft to fulfill any air forces requirements is either the advanced F-15E+ Strike Eagle or Silent Eagle (off-the-shelf upgraded versions of existing US fighters) to be a viable option, capable of filling the maritime expeditionary capacity. The F-15 will be one of the world's most survivable aircraft. The combat-proven F-15 boasts an exceptional safety record, thanks to its advanced avionics systems, two engines (for improved survivability and over water operations), robust airframe, speed, manoeuvrability, long range (without refuelling) and better weapons load. Combat aircraft survivability is largely determined by two factors: how well an aircraft avoids being hit and how well it can withstand a hit. The F-15 avoids and withstands hits with success unsurpassed by any aircraft that carries weapons or fuel tanks under its wings or fuselage. The F-15's integrated avionics and electronics systems provide exceptional situational awareness, giving its crew a better view of the battlespace than its enemy has. Its radar sweeps the air and ground for targets at long distances, allowing the crew to detect and attack with long-range weapons before the enemy knows what is happening. Advances in radar and weapon technology will further enhance these advantages. The terrain-following system that allows the aircraft to fly at very low altitudes, its automated electronic jamming system integrated with a radar-warning receiver, and its smoke-free engines thwart enemy attempts to locate the aircraft. The Pratt & Whitney F100-PW-229 or General Electric F110-GE-129 engines, which can propel the F-15 to speeds exceeding twice the speed of sound, and an airframe capable of 9 g manoeuvres, allow the F-15 to routinely out-manoeuvre the adversaries. The aircraft has a triple-redundant hydraulic system and redundant electrical generation system that prevent a single failure from ending a mission. Fuel dispersal throughout the wings, with none above the engines, a foam fire-suppression system, and self-sealing fuel lines significantly reduce the vulnerability of the aircraft's fuel system. In addition, much of the aircraft is made of fire-resistant titanium. Each F-15 will carry a two-person crew. The division of duties between pilot and weapon system officer allows each to remain focused on their individual tasks without becoming overwhelmed and encountering dangerous mental and physical fatigue. Traditionally, aircraft with two-person crews have performed better than those with single-person crews. For the long-range, multi-role missions flown under the challenging conditions at which the F-15 excels, these are significant advantages. Having two crew members in the cockpit is also advantageous in the event of injury or illness to one of them. The F-15 has one of the best safety records in U.S. Air Force history. On those few occasions when an incident occurred, F-15s have safely landed after being hit by lightning, after withstanding a fuel-tank explosion, with destroyed tail sections and with half a wing missing. Leveraging unchallenged experience, the F-15E offers proven, not merely promised survivability. The F-15E enjoys all the benefits that have contributed to the unmatched safety record of earlier F-15s. The F-15 is in production. 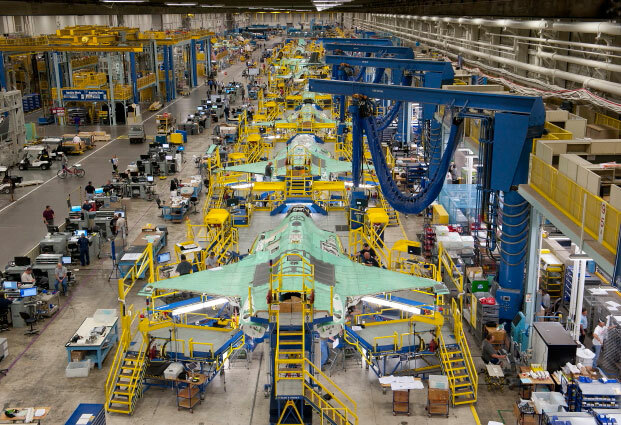 Boeing has built more than 1,500 of all its F-15 models, the company has extended the production line well into the 2020s to attract and satisfy new and existing customers. Another alternative I was thinking for a while develop a new single seat F-15, based on the latest advancements in F-15E as an export variant for new and existing customers to purchase the fighter for predictable costs, in a similar concept to the Sukhoi Su-35S Super Flanker-E. If any anti-F-35 folks think the new pre-posed single seat F-15 is a awesome idea. I recommend this great concept can be email to Brad Jones Director, F-15 US Air Force Development Programs. Richard 'Rick' Banholzer, Boeing's Director of Business Development for Air Force Fighters and Weapons about the idea of developing a new proposed single-seat F-15. Boeing can suggest the export designation of the Eagle for e.g. the F-15F or any idea's they can come up with. Most nations (not all) should be the Eagle country. P.S. Raptor 1 (Silent Eagle is THE way to go!) Well said, I strongly agree that a larger aircraft (with high capability) that's fitted for air superiority role; indeed, you need to have the speed, extreme manoeuvrability, long range, more powerful fire control radar and sensors and a hefty firepower for air-to-air and air-to-ground to do the job which small fighters with short range don't fit in that category very well in some respects for e.g. small weapons load and small aperature nose which lacks the detection range at adversaries at extremely long range. I put a comment to Mars Patrol from DoD Buzz website about the F-15AU and F-22AU concepts will certainly provide a potent combination of flexibility and capability to suit Australia's "long range" requirements as a perfect replacement for the 71 F/A-18A/B Hornet fleet. You find this nonsense. I'm not confident that the JSF will achieve all its design goals. The F-35 will never prove herself to be the world's deadliest combat aircraft. You should ask yourself why are so many nations have ordered or remain committed to the F-35 that is unaffordable, behind schedule, cost overruns, obsolete and never be able to fulfil its mission requirements??? Your opinion is a load of sheer nonsense. It is very fortunate that there are so many representations and sortions of facts presented in the opinion piece offered by Winslow Wheeler, Pierre Sprey, Air Power Australia, retired fighter pilots and officers. –– The F-35 programme is behind schedule to deliver the first production-model aircraft next year (from 2010). I'm not very pleased to see that many of the world’s most elite air forces – including the US Air Force, US Navy and US Marine Corps, Canadian Air Force, Royal Air Force and Royal Navy, Royal Australian Air Force and other NATO air forces – do not agree with the opinions and facts from Lockheed Martin, the Pentagon and pro-JSF advocates that recent endorsements of the F-35 programme both in the US and abroad underscore these convictions. I'm not the most proud of the fact that the F-35 is the system of choice for all participating nations to protect the freedoms that enable those with differing opinions to speak out.